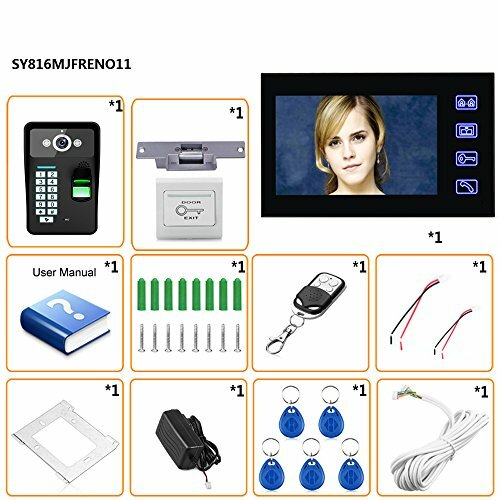 User Capacity: 1000 User Card,1 Password,100 Fingerprint. 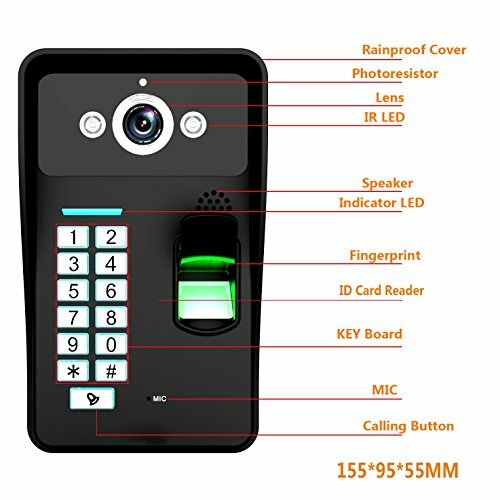 Combines many functions in one: two-way intercom, surveillance, unlock, hands free call and talk, etc. 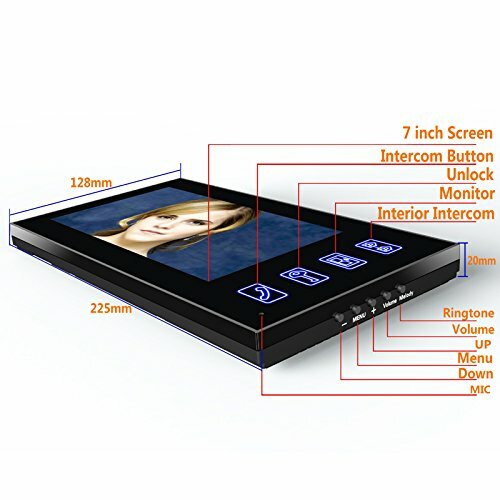 Indoor monitor: ultra-slim design, nice and luxurious, and with a mounting plate, it can be installed on walls easily. 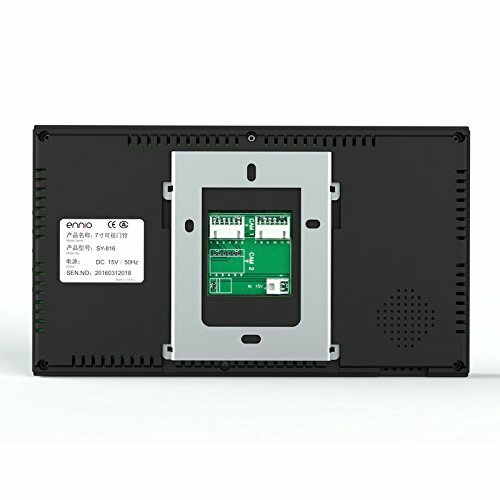 7 inch TFT color LCD display screen, without radiation, low power consumption, high definition and with sensitive touch key press control. Outdoor camera with clear IR night vision can monitor and capture images in low-illumination environment. With a rain shield, waterproof, antioxidant and durable to use. 25 kinds of different melodies for your choices. Volume, brightness and contrast are adjustable. 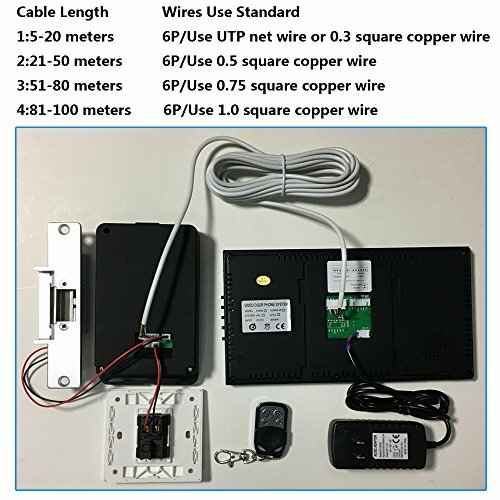 Supplied with connection cable and adapter, users can install it according to operating instruction. 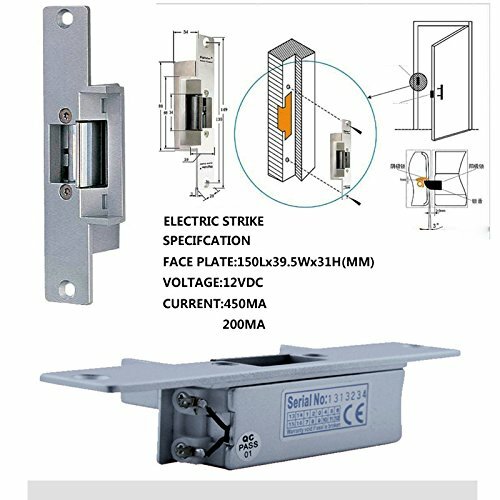 Can be widely used in single-family houses,villas, offices, hotels and so on.